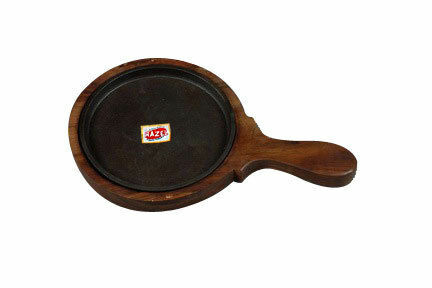 Wooden Base Size 10" x6"
How better than having Sizzling sundae or Hot fudge sundae or sizzling hot cake on a hot plate topped with chill ice cream and chocolate sauce. The sizzle and smoke would give you an adrenalin rush for sure. Though it looks like a fancy dish served at restaurants, its pretty simple to make at home and the satisfaction and praise that you get for making it from scratch is priceless. Making sizzling sundae for dessert would be the best choice to give a most memorable dinner party for your invitee.